Mini Newborn Shoots are a great option for those who want a simple and quick photo shoot or who don’t have the budget for a whole shoot but still want a few gorgeous pictures of their newborn baby. For your Mini Newborn Shoot, it doesn’t matter if your baby is awake or asleep. If they are in a deep sleep I will take posed photos and if they are awake, I will take unposed photos in a similar style. 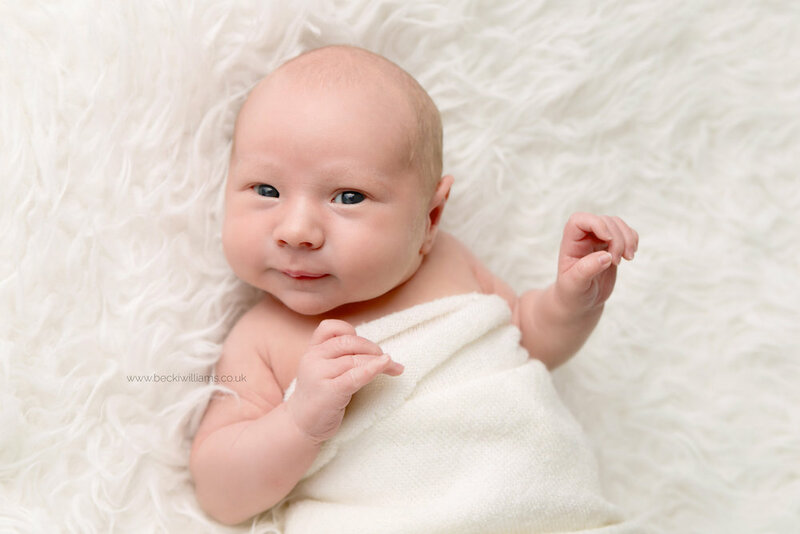 All photos are taken on my newborn posing beanbag on one plain blanket (1-2 poses) and one fluffy blanket (1 pose). 1 week after your shoot you’ll receive a link to an online viewing gallery where you can choose your 5 favourite images out of a selection of 5-10. 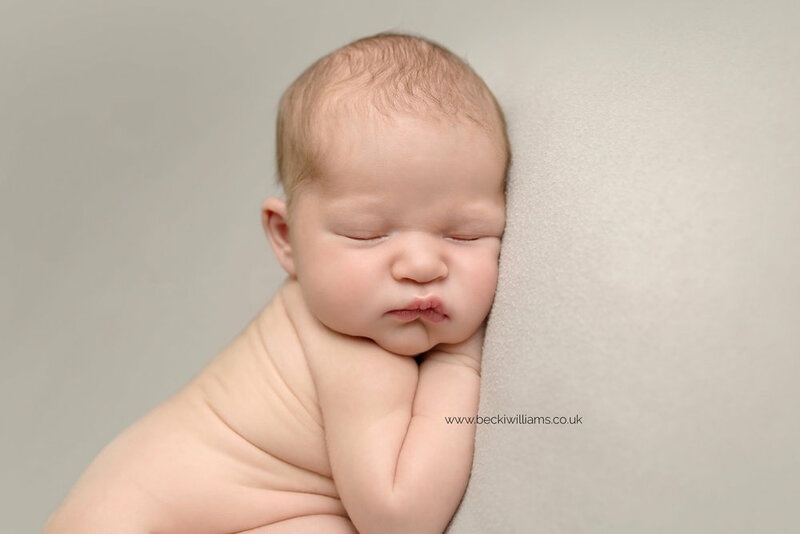 If you would like any of the above, a full length Newborn Shoot would suit you better. 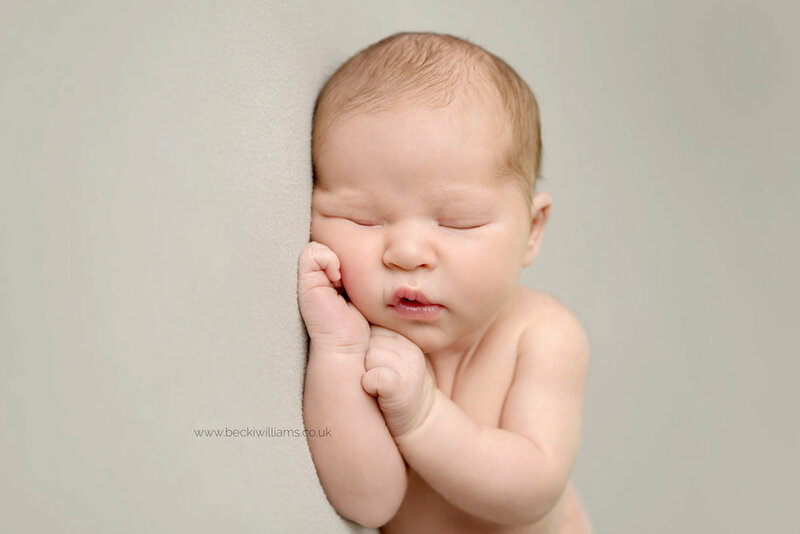 A Newborn Mini Shoot is £149 and is paid at the time of booking. That £149 includes the cost of your shoot and 5 digital images. If more than 5 images are shown, extras can be purchased for £25 each but you are more than welcome to just take the 5 that are included. If you’re interested in Wall Art, let me know at the time of booking and I will send you my full product pricing.